Around one in 10 refugees traveling through Europe is pregnant. 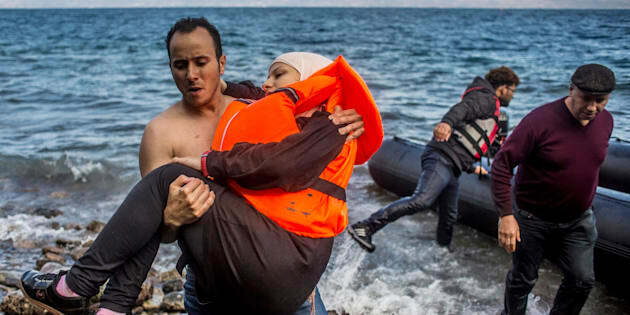 Pregnant refugee and immigrant women face increased health risks.&nbsp;Every day, some 500 women die in pregnancy or childbirth in humanitarian settings. Pregnant refugee and immigrant women face increased health risks. Every day, some 500 women die in pregnancy or childbirth in humanitarian settings. Around one in 10 refugees traveling through Europe is pregnant. Better coordinated approaches from states and NGOs are urgently needed to keep women and their newborn babies safe and well. This article was originally published on Women & Girls Hub. This article also appeared on Refugees Deeply. For weekly updates and analysis about refugee issues, you can sign up to the Refugees Deeply email list.